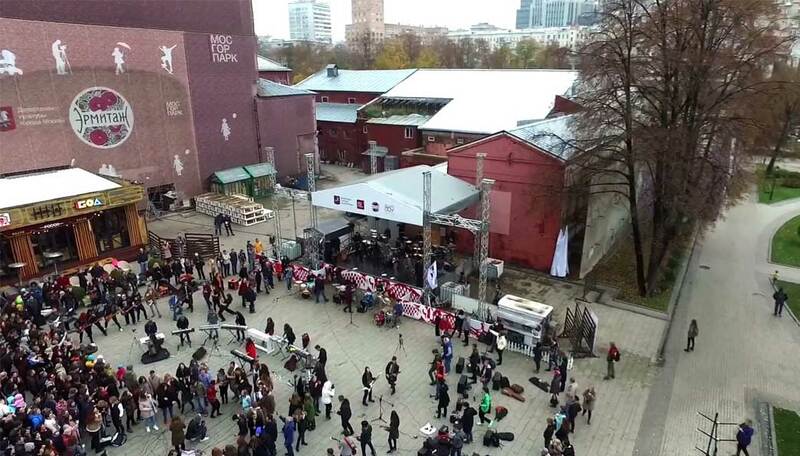 Rock-n-mob - Army of Rock is starting journey from Moscow! 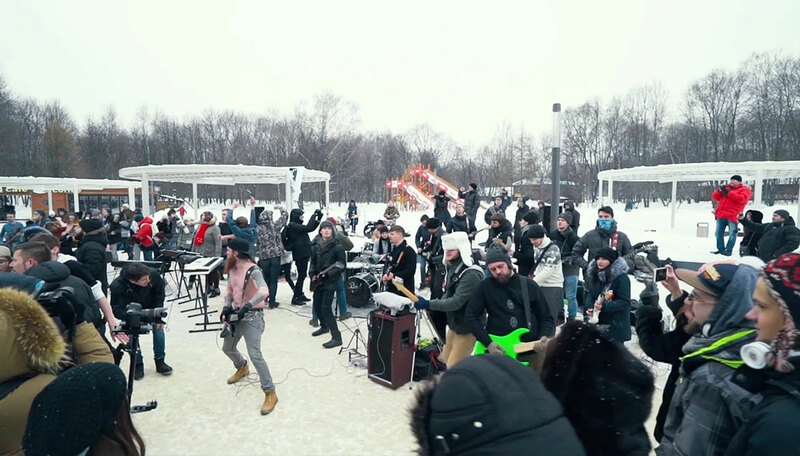 Our first winter rocknmob was on February 4th in Kuzminki Park, Moscow. On this day we were melting the snow by playing "A Beautiful Lie" by Thirty Seconds To Mars! Really cold weather (-12°C) could not scare true rockers, which has been proven by 60+ musicians who participated in this incredible show! 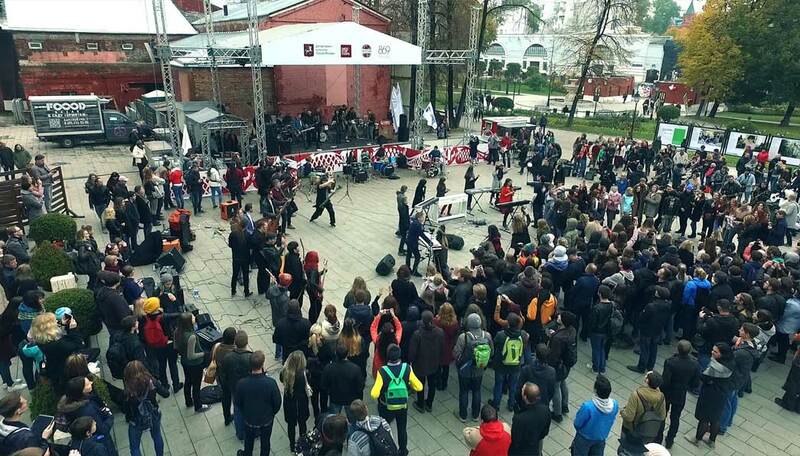 Army of Rock is starting journey from Moscow! 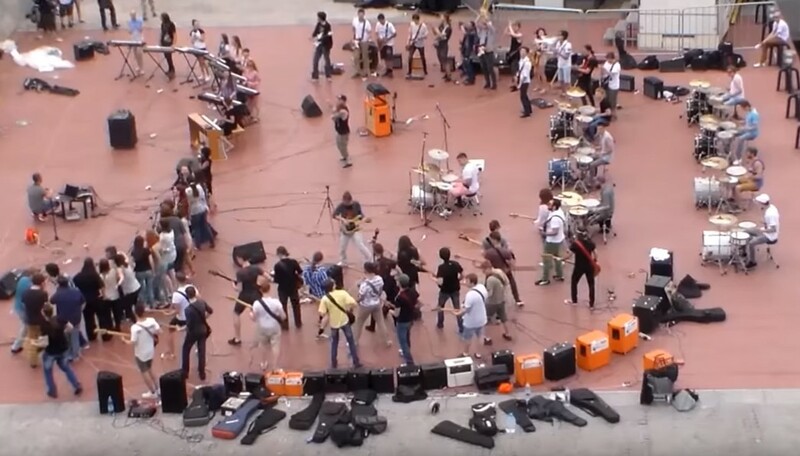 Rock-n-mob is the new rock format: orchestra of more than 70 musicians: drummers, guitarists, bass-guitarists, keyboardists, singers and who knows, maybe somebody else! 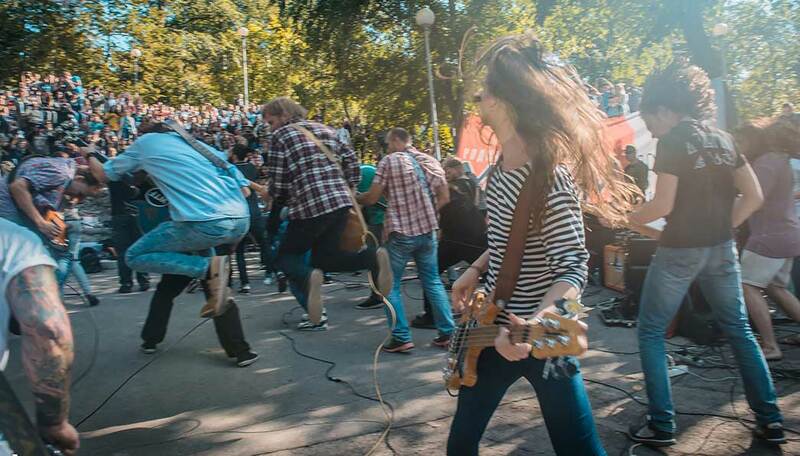 First rock-n-mobs will be performed in famous Gorky Park in Moscow. Everyone can participate - the more people we gather, the more awesome our performance gets! We will rock together, we will figure out together all the questions with respect to equipment, and we will be planning our performances together too. 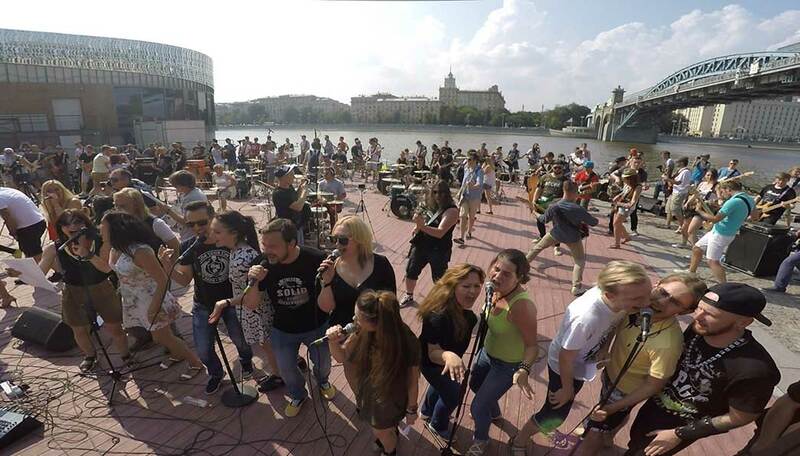 Several well-known Russian musicians joined the second Rock-n-mob, and this time we gathered around 150 performers! 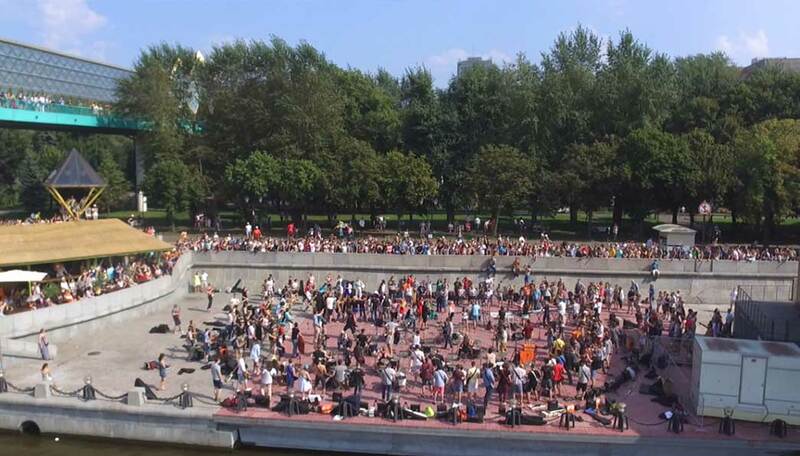 Our first rock-n-mob was on June, 18th, in Gorky Park, Moscow. It was quite challenging though: the weather was really bad for several weeks in a row, but it could not stop us! 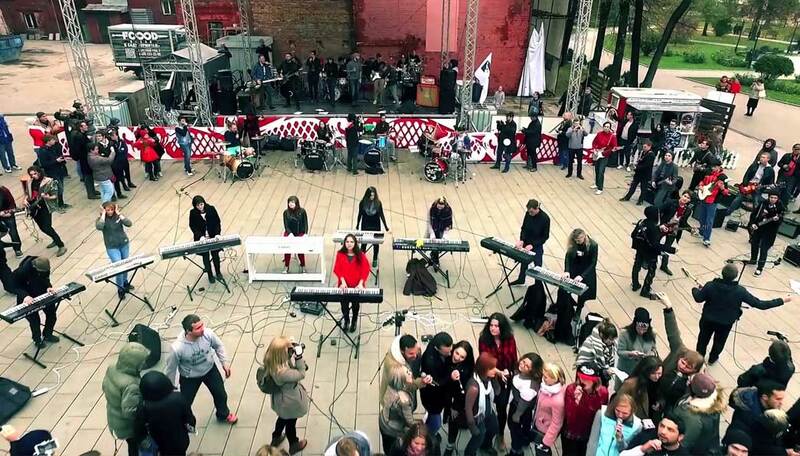 Eventually, 80 wonderful musicians did play "Starlight" by Muse! 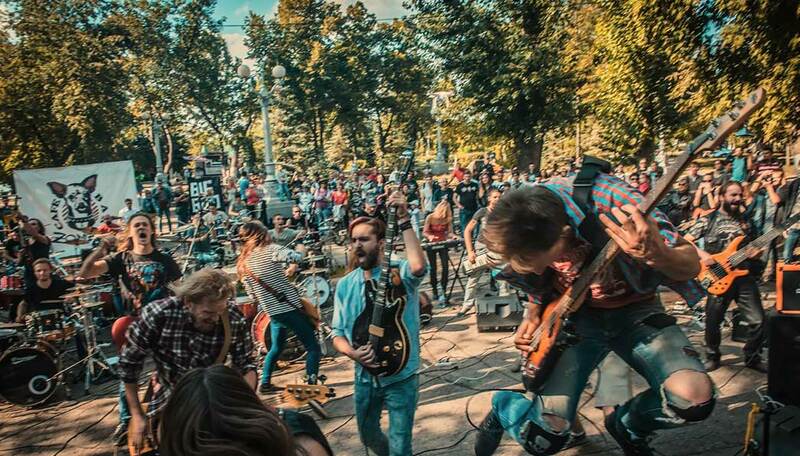 Watch the video and feel the energy of the first rock-n-mob! We have prepared answers to several most popular questions. But feel free to write us on hello@rocknmob.com or even call us +79057476250, we will answer any other questions you may have! I'm not a musician, can I participate? For sure! We need photographers, cameramans, video editors, coordinators, journalists! Reach us and we will find you a place in our team! Perfect! We are ready to share a lot of interesting details and we will keep you updated. Reach us and we will start collaborating! Can I become sponsor or partner? Of course! Right now we are doing everything on our own expenses - organization, equipment, rehearsals and coordination. Therefore if you want to help us somehow - be sure to let us know! Do I have to pay? Can I get paid? Everyone is participating just for fun, therefore you don't need to pay to participate, and you won't get paid too. Do you play musical instruments? Or you are good organizer? Or maybe you can sponsor us? Do you love rock music? Then come and join us - let's make history together! Subscribe to our accounts in social networks! guitarists, bass-guitarists, keyboard players, singers, drummers, photographers, cameramans, spectators and everyone else who helps in getting rock-n-mobs done!